1 Line the bottoms of the ramekins with caramel. 2 Beat together the sugar, eggs, and egg yolks. 3 Bring the milk and vanilla to a simmer and pour it into the egg mixture while stirring - not beating - with a whisk. Stir until smooth and the milk is completely incorporated. If while stirring you've generated a lot of froth, skim it off with a bench scraper. 5 Fill the ramekins with the egg mixture. 6 Place the ramekins in a baking pan and pour in enough hot water to come halfway up their sides. Bake until the custards have set. 7 Take the custards out of the water bath and refrigerate for at least 3 hours. Run a knife around each of the custards to loosen them. 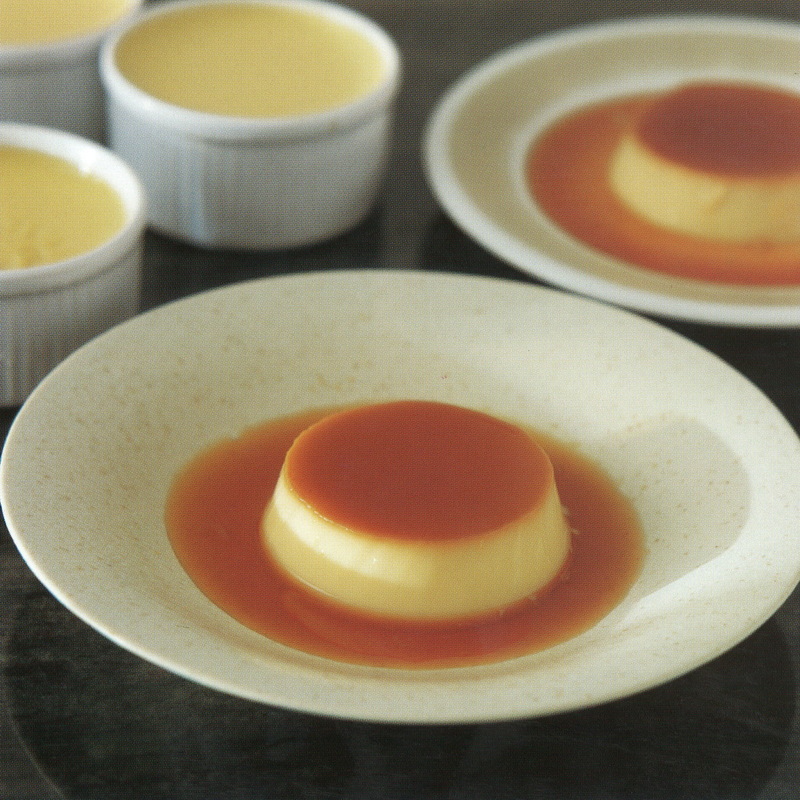 8 Put a plate over a creme caramel and, while holding the ramekin firmly against the plate, flip the whole thing over. Give it a quick up and down shake while still holding firmly and lift off the ramekin. 9 A little pool of caramel will surround the custard. Serve cold.